With Anat Baniel Method® NeuroMovement®, the focus is on improving the underlying functioning of the brain as a whole. With a better, stronger brain, the child on the autism spectrum (ASD) will begin moving, thinking, interacting, and feeling better! This holistic approach to autism, with its gentle movements and the 9 Essentials, offer powerful tools that provide transformational help for children diagnosed with autism, Asperger syndrome, and more. Learn more about autism spectrum disorder and NeuroMovement®. What Is Different About this Holistic Approach for Children on the Autism Spectrum? With NeuroMovement®, we understand that the job of the brain is to put order in the disorder and make sense out of the nonsense. The brain of the child on the autism spectrum has great difficulty in doing so. With the 9 Essentials, we wake up the brain of the child with ASD, and support the brain’s ability to change and create new connections. We help your child to begin to be able to differentiate in order to coordinate movement well and to be able to understand and speak, read, and write. We help your child become a brilliant learner. 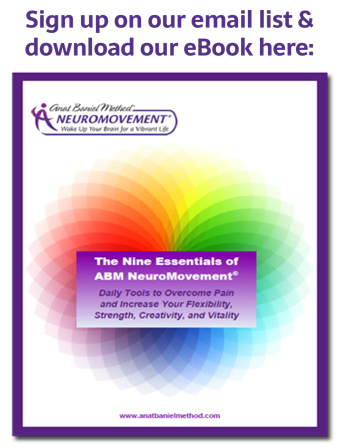 Read testimonials about NeuroMovement® and children on the autism spectrum. For over 30 years, we have seen breakthrough results for children with autism spectrum disorder (ASD) as they discover new ways to move, think, and interact with people and the world around them. Next Steps: How Can You Help Your Child Overcome Limitations from Autism? Start using the Essentials with your child today: Get our Free eBook How to Use the 9 Essentials with Children. Read Anat Baniel’s book Kids Beyond Limits—download free chapters here. Try these Tips: Three Things You Can Do to Help Your Child with ASD. Try Three More Things You Can Do to Help Your Child with ASD. Watch NeuroMovement®: Children on the Autism Spectrum or purchase one of our NeuroMovement® video programs for children. Attend one of our NeuroMovement® Children with Special Needs Workshops. unlimited possibilities into your child’s life!